The guest speakers are Mark Rennert, John Hiatt, John Ensworth and Ian Bolinger. The first solar eclipse in 99 years to traverse the United States from coast to coast was truly amazing. It was so amazing we think it’s worth reliving at least one more time. 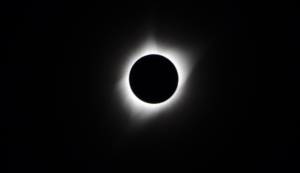 If you were not able to see it in its glorious full totality, or even if you did, we’d like to share the experience with you. LTO volunteers, John Ensworth, John Hiatt, Mark Rennert and junior volunteer, Ian Bolinger will share photos, videos, results of solar experiments and their stories with you. We’d like to hear about your experiences as well. We’ll explain why, if you haven’t seen a total eclipse in person, you really should do so sometime in your life. Seeing it on TV or video simply isn’t good enough. With a golden opportunity for another solar eclipse in the United States coming up in April 2024, we’ll show you the prime spots to see it. Ian Bolinger is a 5th grader in Broomfield. He is very enthusiastic about science and astronomy. He designed an experiment that tracked temperature changes during the eclipse and will present the results of that experiment. He saw the eclipse with his family in Stapleton, Nebraska. John Hiatt, Mark Rennert and John Ensworth are LTO volunteers/board members and enthusiastic amateur astronomers. They experienced the eclipse in Wyoming and Nebraska respectively. Weather permitting after the presentation, visitors will be invited to look through the large telescope at various celestial objects. Public Star Nights are usually held the third Friday of each month, except July, when we are closed for annual maintenance.